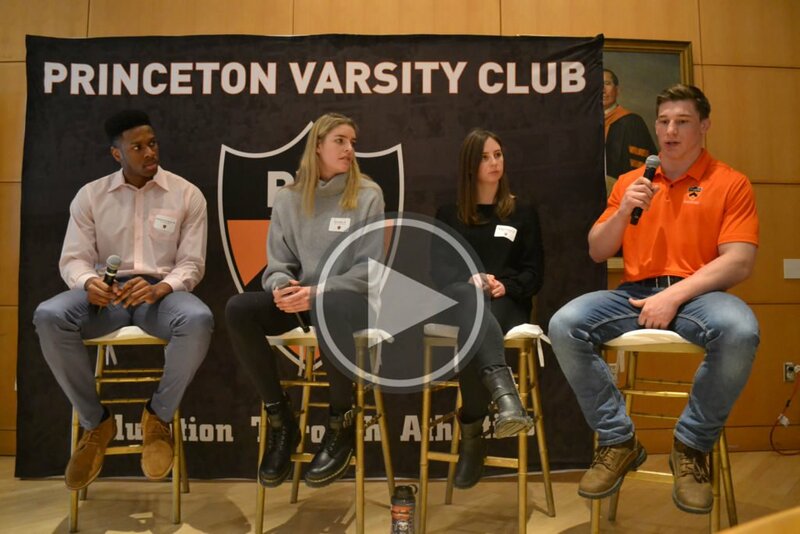 The Princeton Varsity Club hosted its winter edition of the PVC Coaches Luncheon on Monday, February 11th, where several winter coaches and student-athletes shared inspiring remarks with our university and community partners. 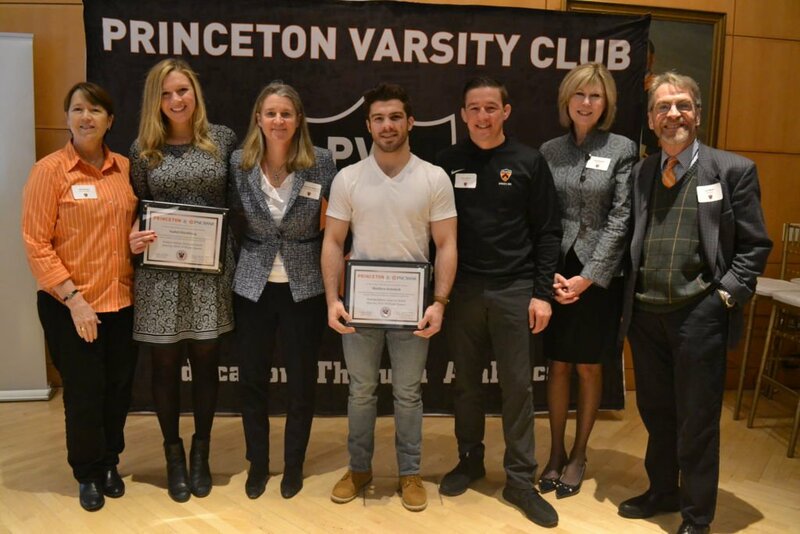 Thank you to our loyal PVC Members, Corporate Partners and members of the Princeton Athletics “Team Around the Team” that attended the event in support of our Tiger coaches and student-athletes. Those featured winter programs included men and women’s basketball, women’s squash and wrestling. 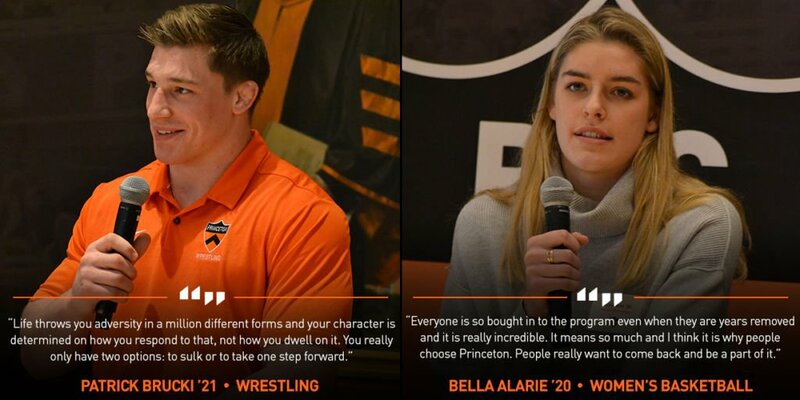 Each featured coach, including Chris Ayres (wrestling), Courtney Banghart (women’s basketball), Mitch Henderson ’98 (men’s basketball) and Gail Ramsay (women’s squash) provided updates on their respective 2018-19 seasons while also speaking to their program’s role within Princeton Athletics and its core mission of Education Through Athletics. A complete photo gallery of the event can be viewed by clicking here. A highlight video can be viewed by clicking here. Following formal remarks from our featured coaches, our four participating student-athletes (noted below) engaged in a panel conversation, moderated by Ford Family Director of Athletics, Mollie Marcoux Samaan ’91. 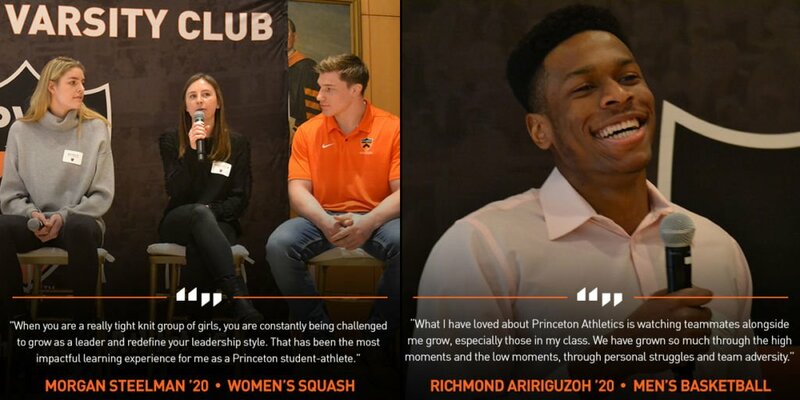 The student-athletes provided a behind-the-scenes perspective into their Princeton student-athlete experience and shared examples of how Princeton Athletics has afforded them opportunities to Achieve, Serve and Lead through athletic competition, in the classroom and beyond. The luncheon also recognized two student-athletes who were awarded the PNC Bank Student-Athlete Achiever Award for the winter season, which recognizes achievement across academics, athletics and community service. Those honorees were Izzy Hirshberg ’19 (women’s squash) and Matthew Kolodzik ’20 (wrestling), as pictured below. The PVC Spring Coaches Luncheon will be held in the Friend Center Convocation Room 113 on Thursday, April 4th. Click here for additional details and to RSVP.